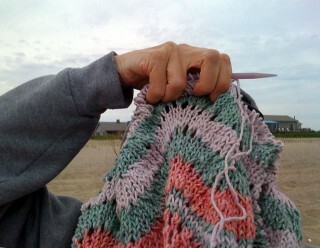 Beach knitting is one of my favorite forms of knitting in public (KIP). Unlike subway knitting where I’m filling time that would otherwise be unproductive, I enjoy being on the beach where the constant sound of the ocean kissing the shore is reassuring and peaceful. With knitting in hand, I combine two of my favorite activities enhancing my relaxation. 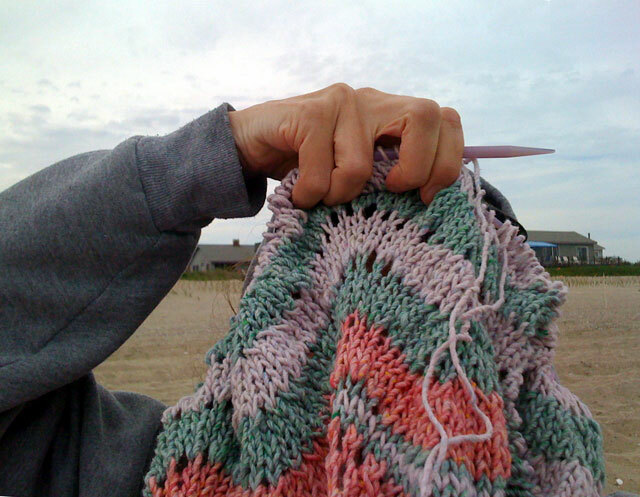 Unlike swimming, the benefit of having knitting on the beach doesn’t require specific weather conditions (although I am not a fan of knitting in the rain). 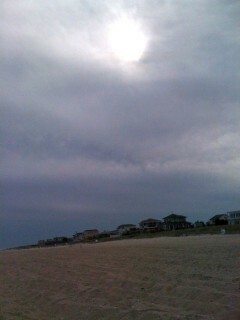 The cooler than average June weather actually enhanced the experience since it kept the beach relatively deserted. 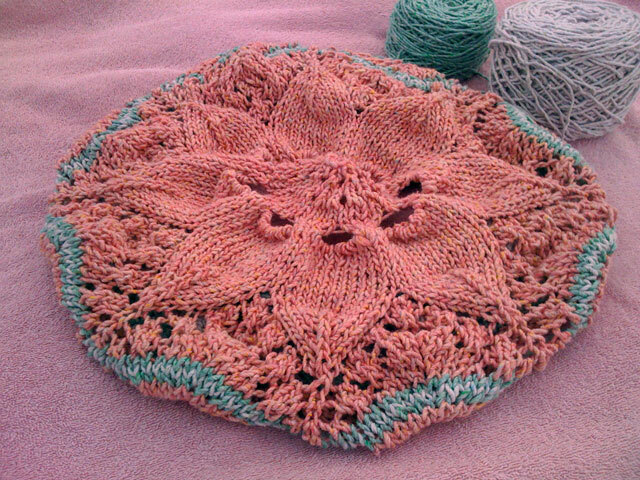 Due to the slight wind (which was great for my husband’s windsurfing), I had to knit with a thicker yarn which translated to lots of progress on my Hemlock Ring Blankie. As with any large project, I find that the beginning goes quickly since there’s the sense of adventure and I haven’t had time to get bored with the project or an uninteresting repeat. With the Hemlock Ring Blanket, the number of stitches per row increases significantly which means that progress is REALLY slow. 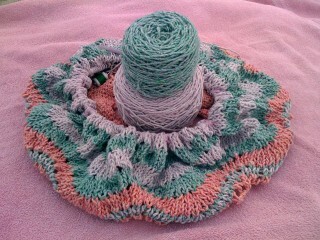 Despite bringing two sets of 10.5 needles, I still ran out of room to keep knitting. It became work to squeeze the stitches onto the needle. Thankfully, I have a set of interchangeable Denise needles at home so that I can extend the length.